Popular Brisbane sprinter Steel Zip has been retired and will head to the show ring. Veteran sprinter Steel Zip has been retired and will start a new career as a show horse. 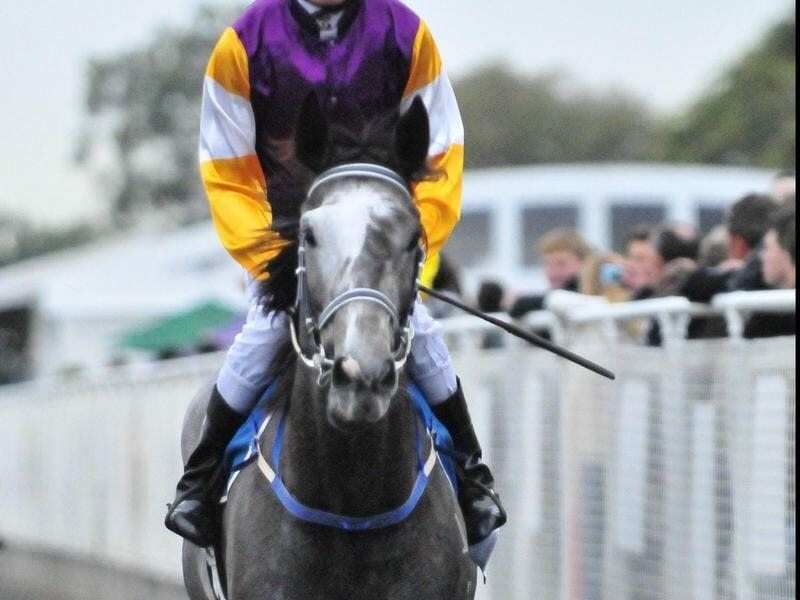 The now-almost-white grey gelding had a cult following in Brisbane where he had 87 starts for 11 wins and 21 minor placings, reaping $948,100 prize money. He had 53 starts in stakes or Magic Millions feature races with his best results five Listed wins. It was a great return on the $13,000 trainer Pat Duff paid at the 2009 Magic Millions Sales. Steel Zip had his first start on November 12, 2010 when second at Ipswich and his last start when unplaced at Doomben on December 9 last year. Duff recently had Steel Zip back in work with another winter carnival campaign in the back of his mind. “He is a ten-year-old and sound as bell. But while the body is willing the legs just weren’t going fast enough,” Duff said. “I would have never forgiven myself had anything happened to him. He has gone to a good home with a woman who will prepare him as a show horse. Duff was quick to dispel any thoughts that his retirement was also near. “I will be like all trainers. I won’t retire, I will just fade away” he said.